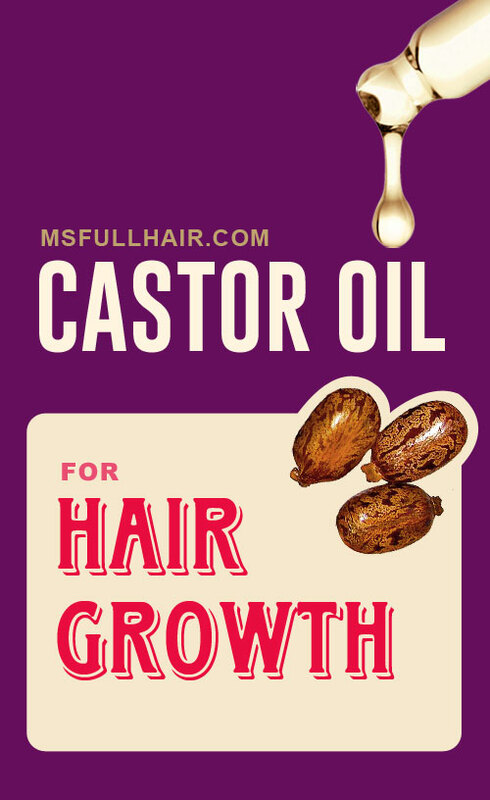 In this article, we will cover everything you need to know about castor oil for hair growth. 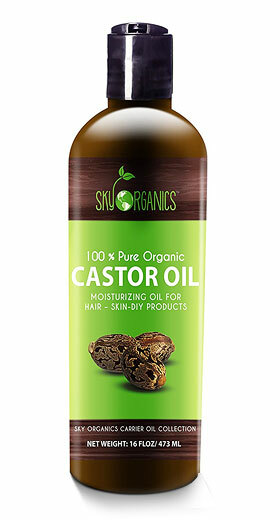 After an in-depth review of the available research, we now know how castor oil can help with hair loss. We will also cover the benefits, side effects, and our recommendation on the best castor for hair growth and thickening from 5 different brands to consider if you’re buying. Click here to go straight to the best castor oil for hair growth reviews section. First, what is castor oil? 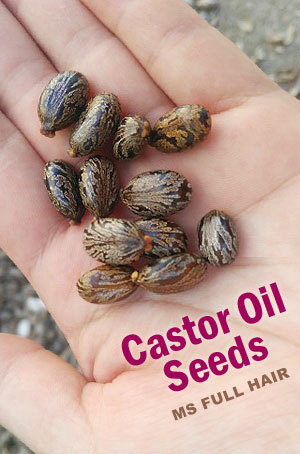 Castor oil comes from the castor oil plant also known as Ricinus communis or Ricini oleum. This Africa-native oil has gained in popularity recently for stimulating hair growth, growing longer eye lashes and treating acne; however, the uses of castor oil for both beauty and medicinal purposes have been around for centuries… including Ayuverdic medicinal practices. What are the castor oil uses and benefits? Is castor oil the best oil for hair growth & increased hair thickness? Yes and no: Yes – because there are a number of studies showing positive results of using castor oil for hair loss treatment, as well feedback from actual users. No, because there is no possibility that there is ONLY one oil that will cure everyone’s baldness (Other popular essential oils for stimulating hair growth include peppermint oil, emu oil, and rosemary oil). Then, is there any best castor oil for hair? The above chart shows the top 5 castor oil brands for your hair. You can go straight to our best castor oil for hair growth reviews by clicking here. Why use castor oil for hair growth? What makes castor oil so unique is its compounds: This oil is filled with an amazingly high amount of Ricinoleic acid (85 to 95%), followed by Oleic acid (2 to 6%) and Linoleic acid (1-5%). First, let’s talk about Ricinoleic Acid – the main contributor to castor oil properties for hair. Omega-9 fatty acid contains important properties that target different causes of hair loss and thinning hair: Anti-inflammatory, anti-bacterial, and antioxidants. Anti-inflammatory: It prevents skin and scalp inflammation by balancing hormones to prevent excessive sebum production on the scalp and any infectious growth such as folliculitis. Anti-bacterial and anti-fungal: It stops hair loss by preventing fungal growth on the scalp. For instance, if you have dandruff-related hair loss, castor oil may very well work wonders. Antioxidant: It prevents harmful radical molecules from interfering with hair follicle growth (Read black currant oil for hair loss – it is a rich source of antioxidant and also recommended by Dr Oz for treating thinning hair). Ricinoleic acid acts as a PGD2 inhibitor. In case you are not familiar with PGD2, it stands for Prostaglandin D2. In 2012, scientists discovered that elevated levels of PGD2 on the scalp appears to be the main cause of hair loss (androgenetic alopecia, especially in men). In other words, the higher PGD2 are present on the scalp, the more hair loss you will experience by developing alopecia and less chance of hair regrowth. Not surprisingly, finding an effective way to target PGD2 (in either topical or oral foams) has been one of the #1 priorities in the search for the ultimate baldness treatments in the pharmaceutical world. As of 2017, it looks like they are still a long way away from this baldness treatment being fully developed and safely used. The good news is another recent research published in 2015 shows that Ricinoleic acid has the ability to inhibit PGD2 – the cause of hair loss. This research was published by the Macao Polytechnic Institute in China. Their goal was to test the efficacy of traditional Chinese medicinal herbs, which can act as natural PGD2 inhibitors. On their final list, Ricinoleic acid (which 85%-95% of castor oil is made of) is identified as one of natural sources for inhibiting PGD2. In addition, we also came across this patent on an herbal composition for treating alopecia and castor oil (referred to as Oleum Ricini in the document) is one of the main active herbs included in the formula. Another research shows promising results. This research was published by the University of Medicine and Pharmacy, Târgu-Mureş, Romania. For this study, the team of scientists focused solely on discovering the effects of castor oil (Ricini oleum) when used as a topical treatment. The experiment involved 20 rabbits randomly divided into 2 groups. The first group received topical treatment of lotion with 35% castor oil, while the other group received the lotion with 40% castor oil. Interestingly enough, when they measured the results in 35 days, the researchers noticed the first group (35% castor oil) had significant increase in both hair length and hair thickness of newly grown hair, while the 40% group didn’t make much improvement. The researchers, then, continued the study on 24 participants all suffering from hair loss with the same treatment procedure (applying once every two days for 2 months). The majority of patients had positive results without any side effects. 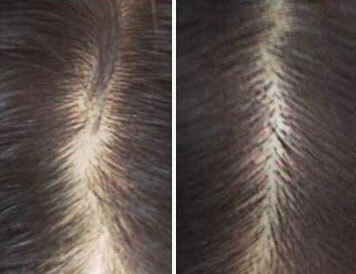 Can you regrow hair with castor oil? Based on the above research and the oil’s properties for anti-inflammatory, anti-bacterial and antioxidant effects, it appears that castor oil can prevent hair loss and possibly regrow your hair by inhibiting Prostaglandin D2 activities on the scalp. Castor oil is one of the most popular treatment oils for hair growth among people right now. We also recently published a success story from a woman who used a mixture of essential oils to cure hair thinning hairlines (read it here). Here are a number of castor oil for hair growth before and after pictures and results we found. 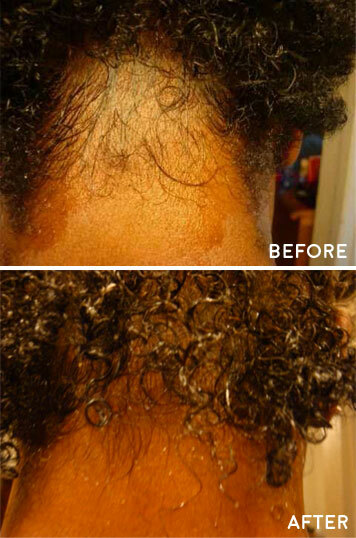 (source) 90-day hair growth challenge before and after comparison photos: She applied plain castor oil 3-4 times a week to her scalp. Any side effects for using castor oil for hair? Some people who try castor oil recipe for hair growth experience initial shedding, but it soon settles down after a couple of weeks. Also, ensure to wash off castor oil thoroughly, especially on the scalp area, because the last thing you want to do is to clog pores with oil residue. Then, how to remove castor oil from hair? Since castor oil has a sticky and thick consistency, people usually have difficulty removing it from hair completely. This is one of the main reasons to mix castor oil with other oils, such as coconut or olive oil, which will help dilute the thicker castor oil. Wash your hair in lukewarm water, shampoo thoroughly and leave it for 3-5 minutes, so the unwanted oils can be soaked up and cleared. Consider a shampoo brush with a vibration function such as this. This will help reach in more areas more effectively than using your fingers. Use a dry shampoo. Dry shampoo works as a hair cleanser by absorbing oils and odors from your hair without using water. But if you are experiencing thinning hair, we do not recommend you to use the dry shampoo on a regular basis, since it can worsen alopecia symptoms. Is there a castor oil recipe for stimulating hair growth and thickening hair? Most of our recipes on our site are based on stimulating hair growth and preventing hair loss. One of our recommendations for castor oil hair recipe is based on a success story we recently shared with our readers. 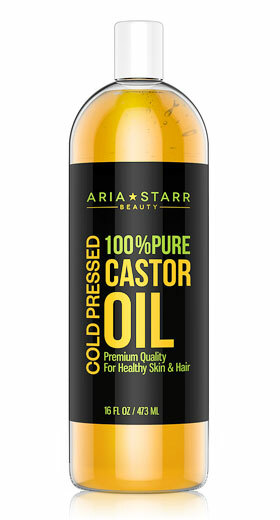 Since castor oil has a thick texture, she added olive oil which helps dilute it. You can replace olive oil with any other carrier oils such as jojoba oil (See our hair growth stimulating recipes for more ideas). How to apply castor oil for hair growth? Use a small plastic container with a pointy tip intact such as this for easy and precise application onto the scalp. She applied it daily and saw a big improvement as little as two weeks. We also read many testimonials and reviews on castor oil for hair stating that it usually takes about a month or two to see the results. So it’s definitely worth trying. What are the criteria for selecting the best castor oil for hair growth? We narrowed down multiple castor oil brands into our 5 finalists based on purity, manufacturing processes (if any chemicals are added when extracting the oil), company reputation, as well as reading and analyzing hundreds of both positive and negative customers reviews to summary the overall experience. Here are top 5 best castor oils for hair growth. 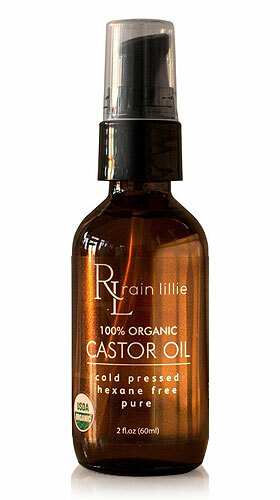 What we love about this castor oil by Rain Lillie is that this is an USDA-Certified organic version and is 100% pure. Using a cold-pressed method, this castor oil allows every mineral and ingredient to be kept active, unharmed and ready to do its job stimulating healthy hair growth by providing an optimal scalp environment. This oil is also hexane-free, which means that no chemicals are added when extracting the oil from the plant. If you are looking for the best castor oil for hair growth with extra “organic” assurance, Rain Lillie’s castor oil is exactly what you are looking for. You are probably familiar with the brand already from their various other vitamins and supplements. The main mission of this all-natural health company is providing high-quality products at an affordable price. For the last number of years, the company has extended their product offering, including a handful of pure essential oils. This 100% pure castor oil is expeller-pressed, meaning it also uses a chemical-free process of extracting oil at higher temperatures. NOW castor oil is also hexane-free, which is great for people opting for organic solutions. Sky Organics also offers 100% unrefined and pure castor oil with a hexane-free method (no additives… just the pure castor oil itself). What’s appealing about this brand, other than their high-quality castor oil, is that they hand-craft all of their products in small batches to keep them fresh. The company sources all of their ingredients that go into their products from reputable and organic artisanal farms from all over the world. In the case of their castor oil, Sky Organics 100% pure castor oil is sourced from organic farms in India that are grown in pesticide-free environments. The company’s mission is very clear – to offer only pure and organic products that they directly source from artisanal farms. Aria Starr is a Southern California company focused on providing organic hair and skincare products made with 100% organic ingredients. In order to produce the highest-quality grade of their 100% pure castor oil, they took a couple of additional steps first. 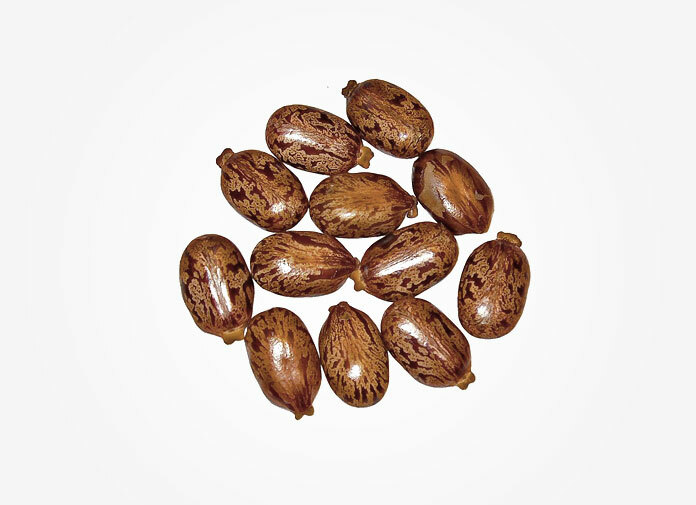 By hand-picking only the best castor seeds, then TRIPLE-refining them to ensure the oil is truly pure. This gives an extra assurance that the essential oil you get from this company not only comes in a pure form, but also you can expect to receive the maximum benefit from the active botanical ingredients being properly preserved. Organic castor oil that checks off everything in the quality department! Foxbrim is a new kid on the block. Featured in a number of magazines (Life&Style, inTouch, and Organic Spa), the founder of Foxbrim, Troy Johnston, makes his company philosophy very clear: Safe and natural products with proven ingredients. To start, what’s great about this product is that it is “USDA Certified Organic” castor oil, which assures a high level of quality. 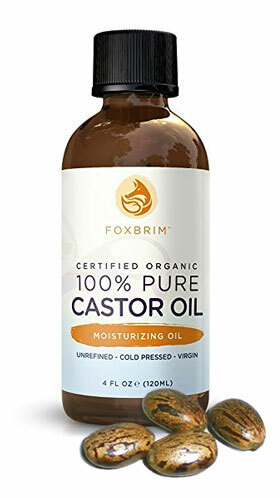 Foxbrim’s castor oil is also 100% pure and hexane-free. It uses a cold-press method in small batches in order to retain the maximum benefit of essential omega 6 and omega 9 fatty acids. Another thing you will notice is the HUGE number of satisfied customers using Foxbrim castor oil regularly (over 800+ reviews sharing their experience and results). The company offers a 100% money back guarantee and replies to each customer who is not satisfied and offers a full refund. If you want the castor oil that includes EVERYTHING people are looking for – high-quality natural ingredients, USDA certified organic, hexane-free, 100% pure formula, small-batch making to keep freshness, and backed by best customer service – you can’t go wrong with Foxbrim’s castor oil. Conclusion – Should I use castor oil for hair growth? The verdict: Castor oil is a great hair loss remedy thanks to its natural anti-fungal, anti-inflammatory, and antioxidant properties, which provide essential benefits for healthy hair growth in various ways. The research studies we have shown above also indicate the fact that castor oil can also act as a PGD2 blocking agent, which is prominent in people with androgenetic alopecia – the most common form of hair loss. THE best castor oil for hair growth? You can go with any of the top 5 castor oils for hair growth we have discussed above with peace of mind. Each sells a 100% pure and chemical-free product and processing method. 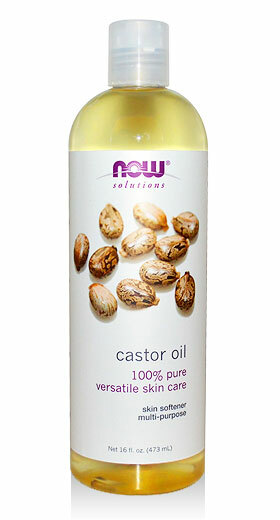 If you prefer fewer options or ingredients, try the NOW 100% castor oil. They have a reputation of providing quality products at an affordable price. Another great option is Foxbrim’s 100% organic castor oil (the cold-pressed oil made in small batches for freshness and USDA-Certified organic). Bosley Shampoo Reviews – Does It Work for Thinning Hair?